CLEO Gold features CLEO for GTA III, GTA VC and GTA SA in one app and already has lots of scripts for GTA San Andreas inside, this is the way you can support CLEO developer. If anyone have bugs with CLEO don't hesitate to write it here or PM me , if you are unregistered user then register and write it here as well , I'm looking forward improving compatibility ! Read everything before trying ! And don't quote the whole post ! Tested only on Android 4.0, 4.2, 4.3, 4.4 and 5.0 ! 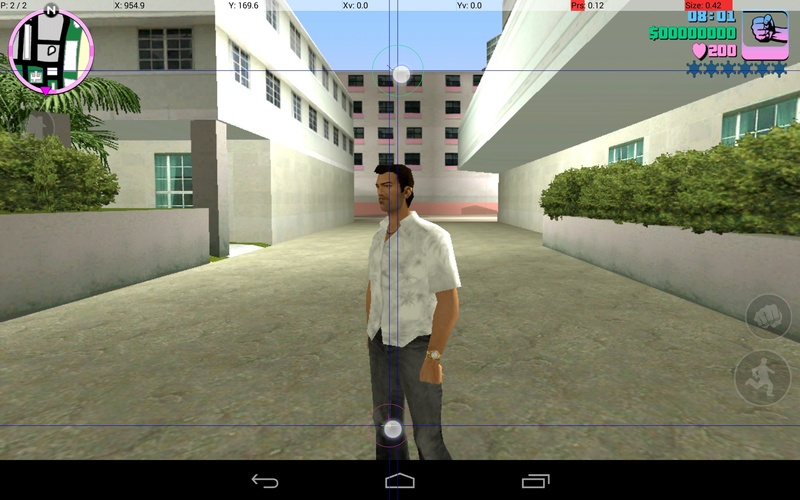 Make sure that CLEO supports your GTA, you can check game version in Settings->Apps of your Android device. First of all you should know that a lot of PC CLEO *.cs scripts can't be launched with CLEO Android because they are using PC opcodes and PC orientated controls. Any PC script must be manually checked and rewritten if needed in order to be used on Android. CLEO Android is using *.csa script extension, you can compile and decompile it with Sanny Builder like PC *.cs scripts, additionaly CLEO Android is using *.csi script type, the only difference between *.csa and *.csi scripts is that *.csa scripts start just after the game loads and *.csi scripts only when user invokes them via ingame script menu, see below for the detailed information regarding script menu. In order to install scripts copy all files from the /scripts/gta**/ folder of this distrib to the directory described above. Lots of CLEO scripts on PC are using keyboard and it's not a big deal to find some unique key combinatoin which won't be used by any other script, but when it comes to an input limited by a touchscreen other ways must be used, thats where CLEO script menu takes a place. Note that only *.csi scripts appear in the script menu. Script menu controls description involves touch points, you can read about CLEO touch points in the section below. In order to select desired script touch center-top (touch point #4) or center-bottom (touch point #6), this will move active row up or down, use center (touch point #5) to start the script, if script is still running then it won't be launched. While installing more *.csi scripts menu capacity grows with adding new menu pages when needed, you can switch between menu pages using left-center (touch point #2) and right-center (touch point #8) points. Menu can be closed by touching any other touch point which is not listed above or using menu button. In mobile GTA 3 - Cleo opcodes with the PC version work? No , I wrote this in the first post . I just bought my tablet, and as far as i know, after getting root access i will lose the warranty, is there absolutely no way to install cleo without root? Btw, ability to load asi/cleo/so available with this? I can make it load libraries , installing w/o root requires apk rebuilidng with patching libR1/libGTAVC and adding libcleo , I can send you the patched files . Seems like health regeneration is working. I tried to activate car spawner, but unfortunately it doesn't work for me. It should , try to keep a touch for center-bottom and center-top atleast for 5 seconds . All PC cleo scripts must be manually checked for compatibility before using with Android version ! Any way to do it from the CLEO script itself? Like, script checking itself. Also, probably pretty stupid question, but is it the same project Alien's been working on since a while? Alien has nothing to do with any of my projects as much as I have nothing to do with his . So, are you gonna do at least read_memory/write_memory opcodes? Would be nice to have a cutscene check and stuff like that. I'm moving my old gasoline mod for iOS to cleo, any idea how to create markers for gas stations? because game can be saved in car, which will save those markers as well, and on another start script will create them again and it can't be good. Are you sure that marker will be saved , did you check ? 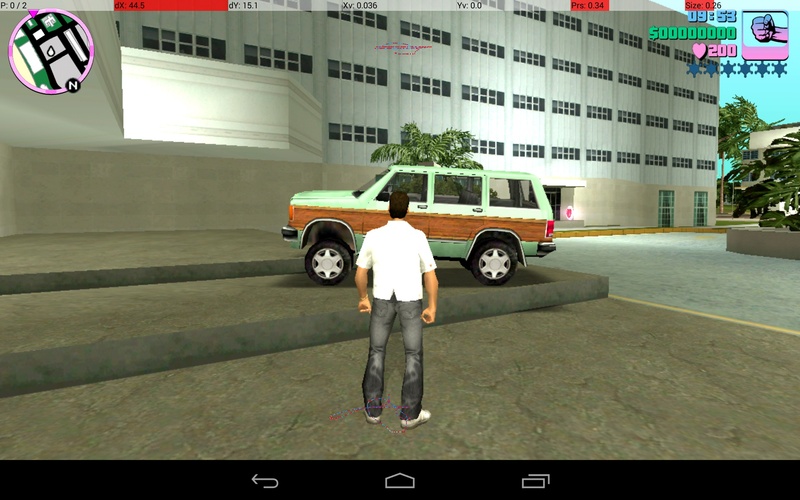 Yes, i checked twice, script removes them when player isn't in car, but when i exit while player in car, markers shown on the map even on foot after restart. You win the internet with this one dude. Do you any plans on releasing this to XDA or the Play Store, too? First we need SA , it will bring more users (and potential testers) here , I was planning on releasing this in playstore after . Regarding the XDA I don't really think that people need CLEO there . Awesome !! Is there going to be also an android version of Sanny Builder ? I thought Sanny Builder can already read mobile SCM's? Why would you want to use Sanny Builder on a phone? 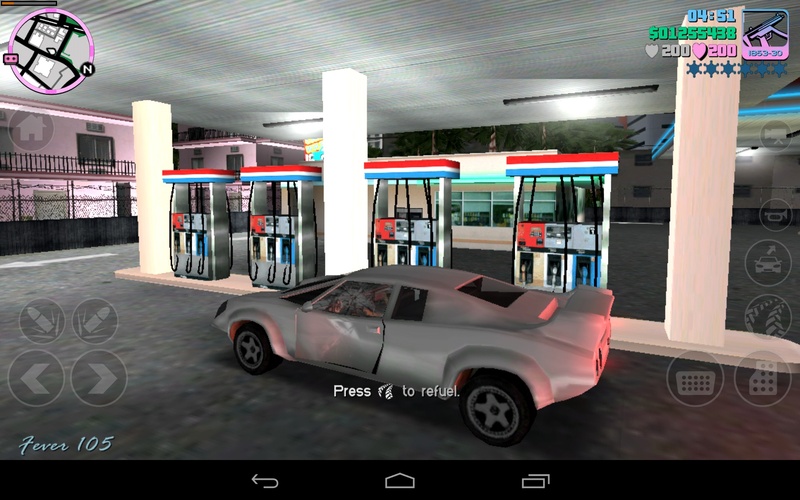 Nah, they've been dabbling about modding the Android GTA releases in the forums ever since GTA3 was released. Also, what about keyboard support, i.e. external ones or the Game Keyboard app? While making scripts on a phone will be uncomfortable because of its size, some people might like to make scripts directly on their tablet. Not me, because i have no good tablet that would support GTA games and i'd make a Sanny Builder for Android if I had one anyway. A good example of IDE for Android is AIDE. Waiting for San Andreas Support so bummed cheats are gone, or at least disabled. Well, besides patching the game to add CLEO support, do you have any plans to hack/bypass the texture resource limit in SA?